Read over these Bible verses Monday through Friday. You can read as many of the verses as you would like to each day. The questions that follow will guide you through as you ask God to show you His plan for your life. Any questions? Just message us on Facebook. Finish up your week with the video we will post each Friday. We’ve got your whole week covered! DOUBT? Do you have areas in your life where you allow doubt to hold you back and keep you in check? What can you do to get freedom from this doubt? What is stopping you? TRUST? Does your doubt reveal your lack of trust in God? Why? or Why not? When you move through doubt you begin to conquer doubt…Sometimes you have to take steps to show you are being faithful. What has God given to you or shown you already that you can begin to grow beyond doubt? BELIEF? 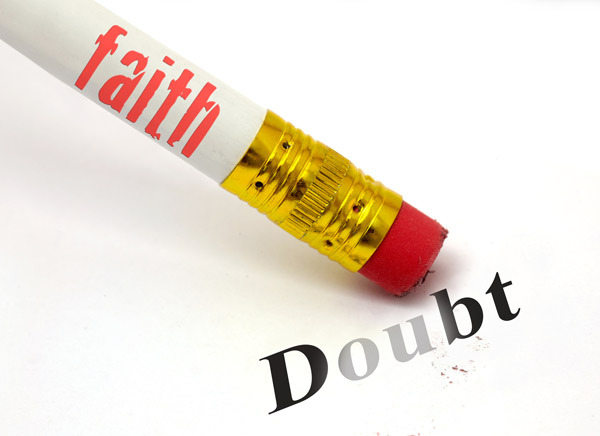 Even the disciples had their struggles with doubt….which in turn affected their beliefs. How does you doubt affect your belief and unbelief? Do you see a direct relationship between doubt and unbelief? Doubt will bring your prayer life down quickly! How can you pray without doubting what God is saying or where He is leading? Bonus: Please let us know your thoughts, struggles, questions and comments so we can pray for you more effectively. We are here for you to help you navigate through the sea of doubts that you may have found yourself in. Let us know.